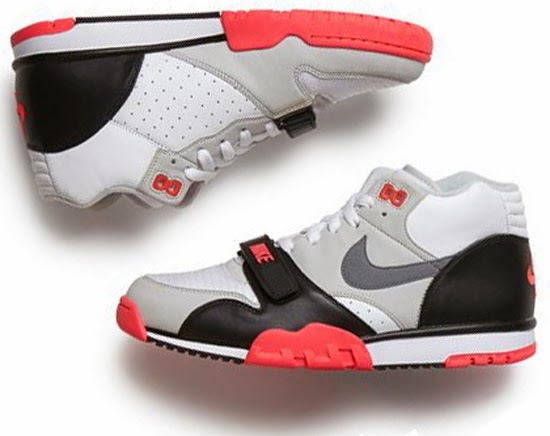 The Air Trainer I returns in a classic colorway this weekend. 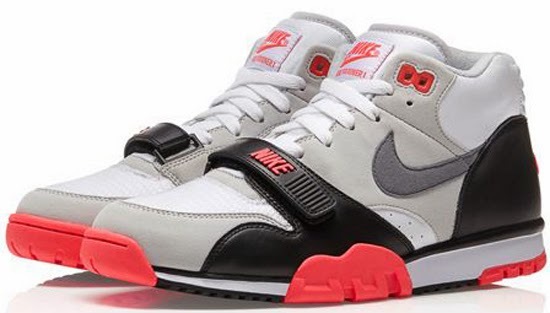 This Nike Air Trainer 1 Mid Premium QS was inspired by the classic "Infrared" Nike Air Max '90. 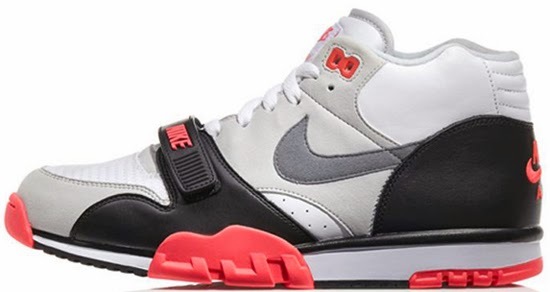 They come in a white, cool grey, cement grey and black colorway. Featuring a mesh toebox, suede grey side-panels, and premium black leather around the shoe’s heel and signature strap. A limited release, look out for these at select Nike accounts worldwide on Saturday, October 26th, 2013. Retail is set at, $120. 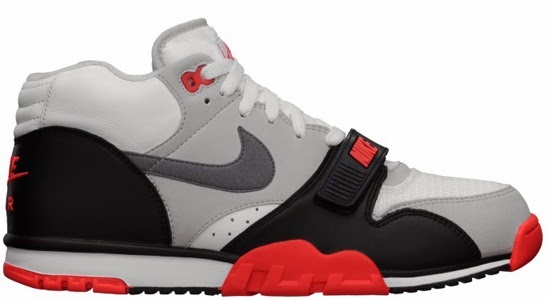 Enjoy the official images below of the "Infrared" Nike Air Trainer 1 Mid Premium QS in white, cool grey, cement grey and black. If you're interested in picking these up when they release, check in with your local spots to see if they will be receiving them. Those of you looking for a pair now can, grab them from eBay here.